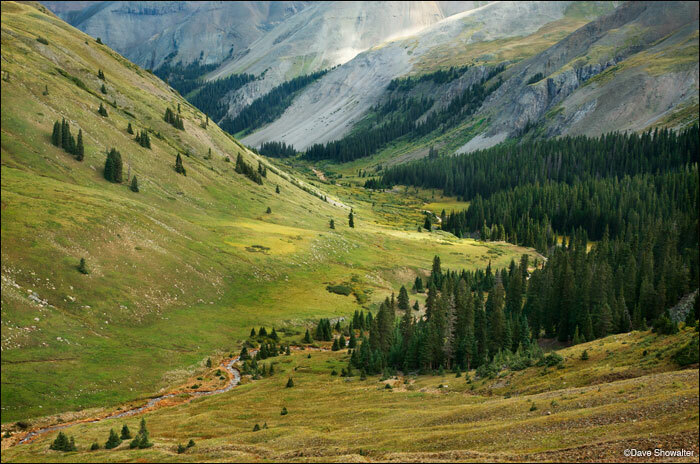 The Upper East Fork flows into the East Fork of the Cimarron River high in the Uncompahgre Wilderness Area. The Cimarron River is a tributary of the Gunnison River, with the confluence in the Curecanti National Recreation Area near Gunnison. Photo © copyright by Dave Showalter.